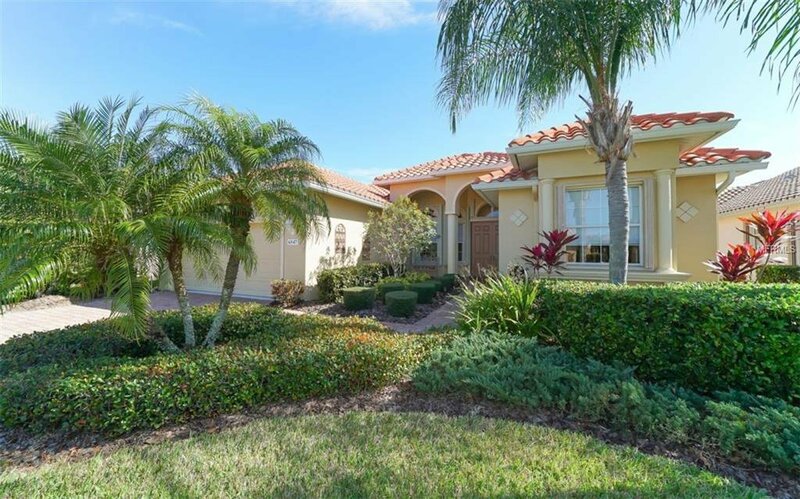 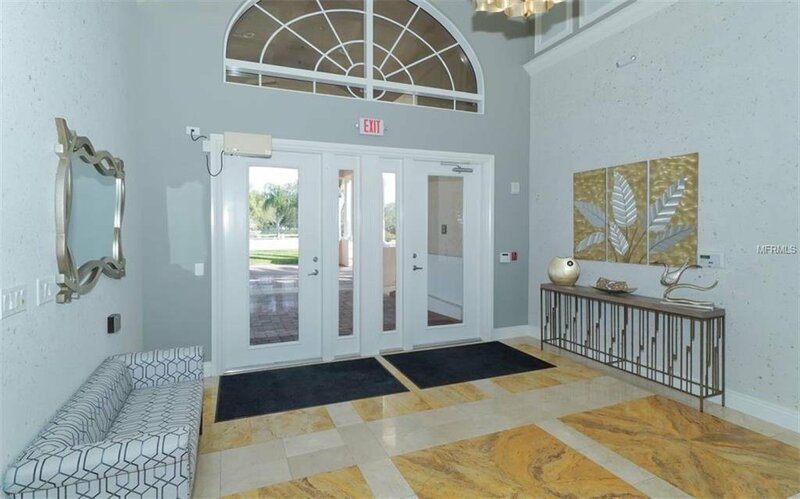 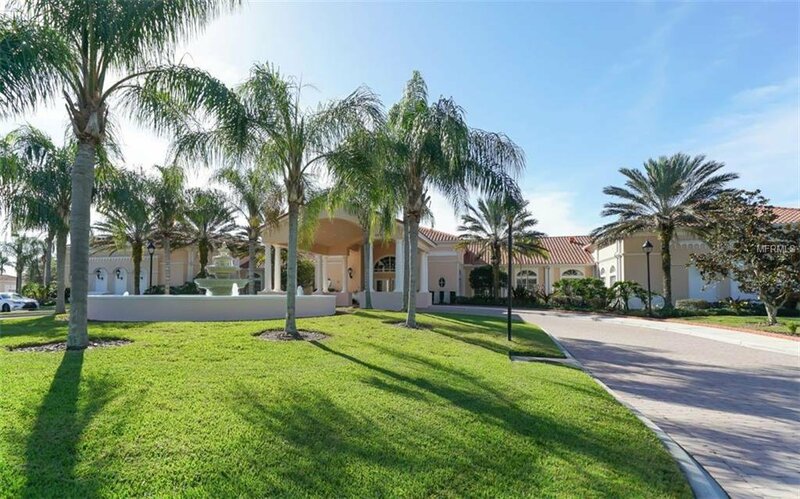 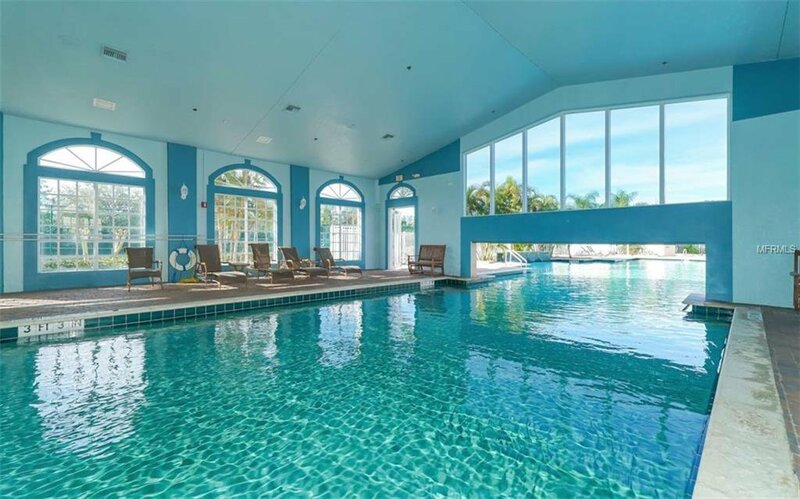 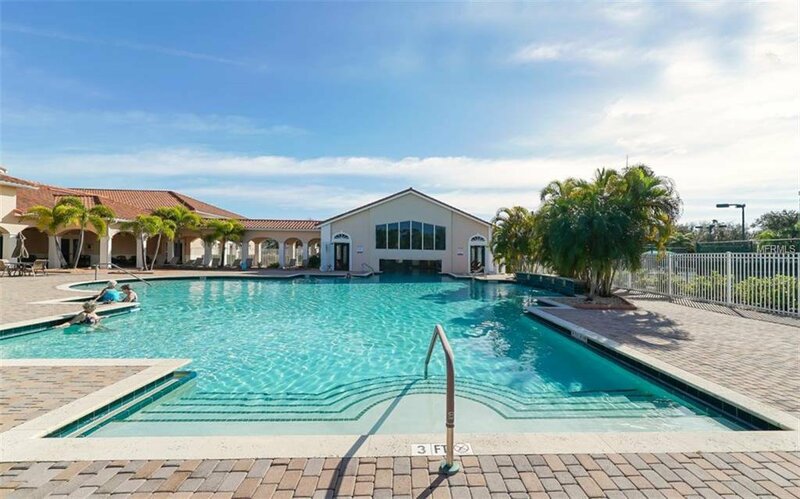 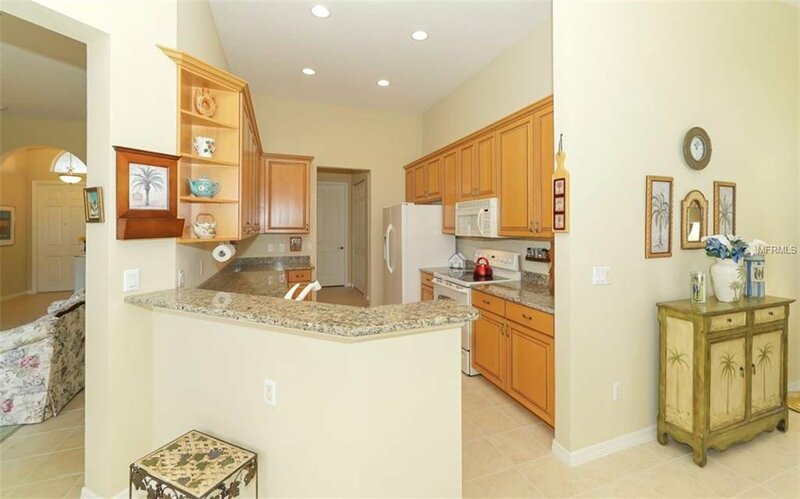 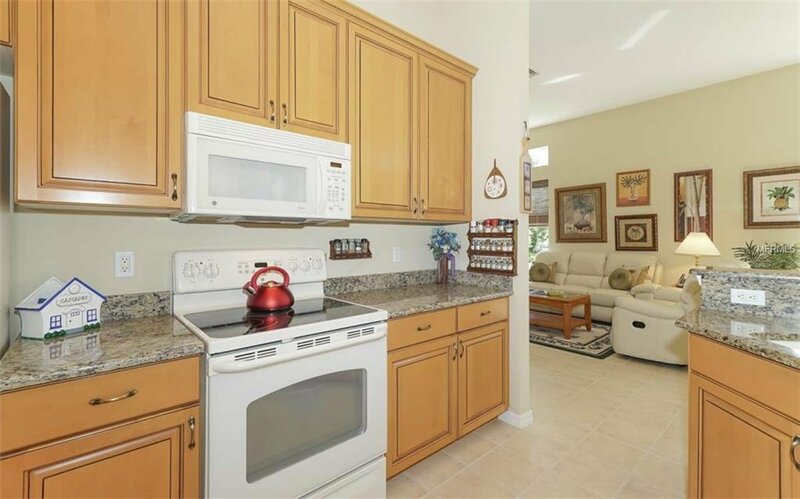 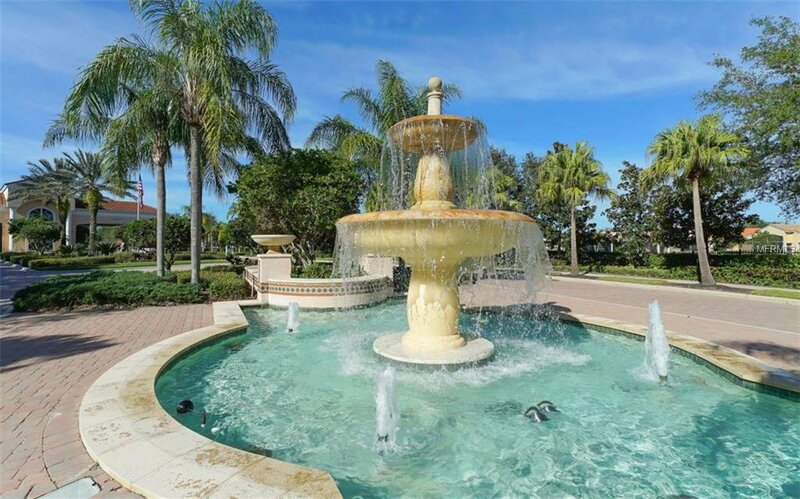 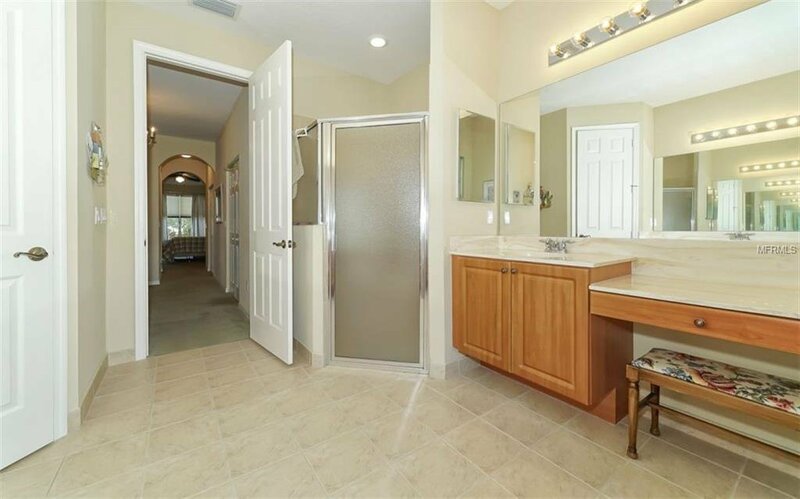 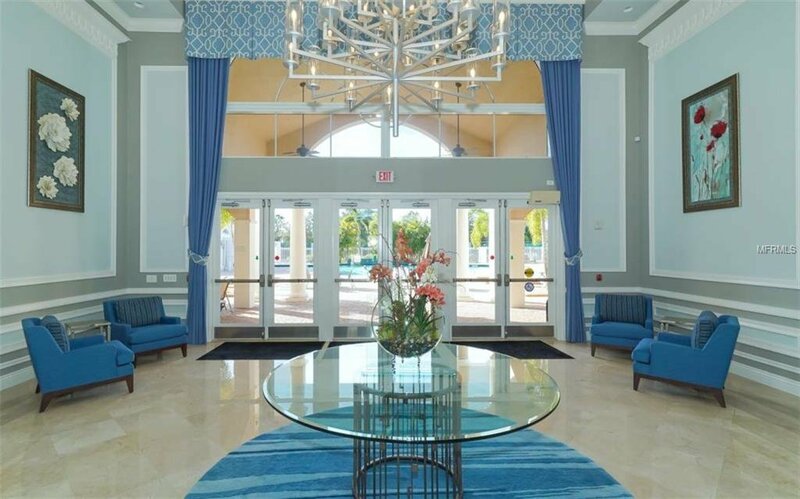 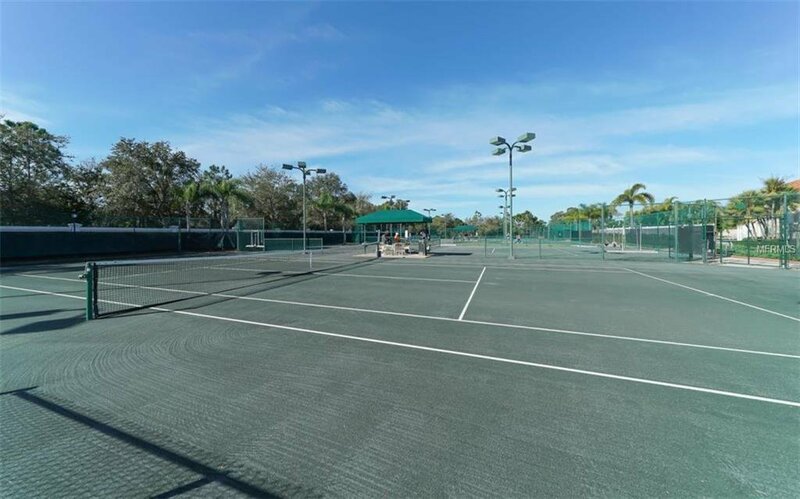 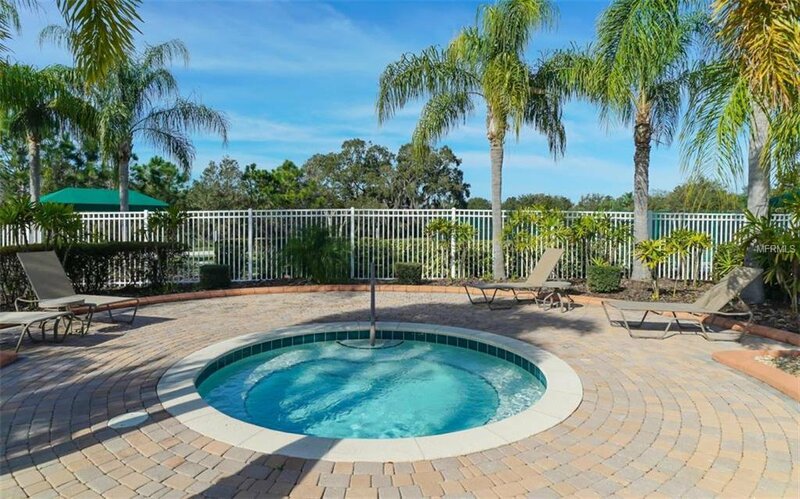 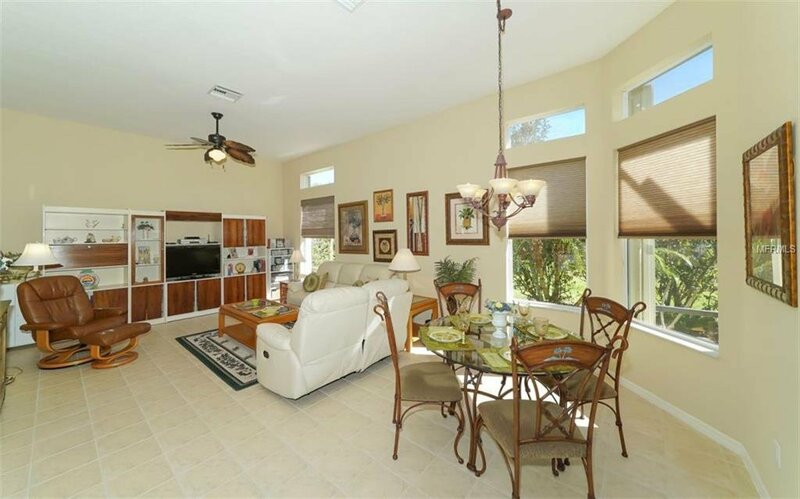 Lovely listing in the absolutely fabulous, gated and amenity packed community of The Cascades.. Categorized as one of Sarasota’s few Active Adult 55+ and known for its outstanding clubhouse and beautifully remodeled amenity center which includes a truly remarkable indoor / outdoor heated swimming pool, a spa with saunas and showers, tennis courts (tennis pro onsite!) 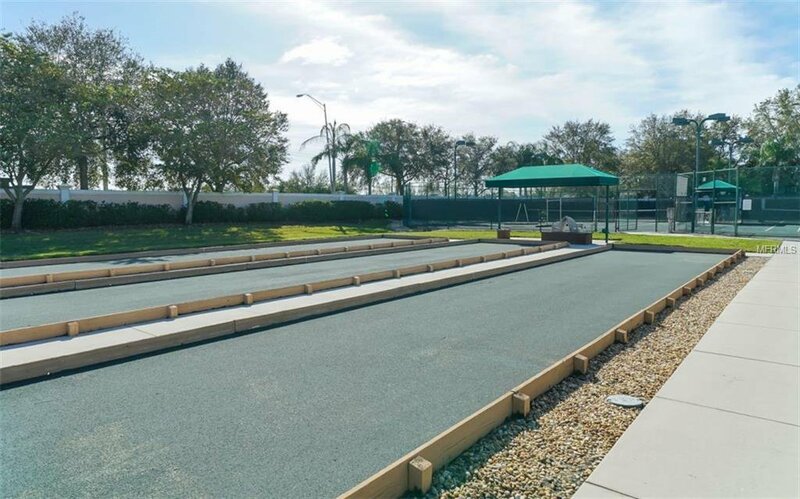 bocce ball and pickleball courts. 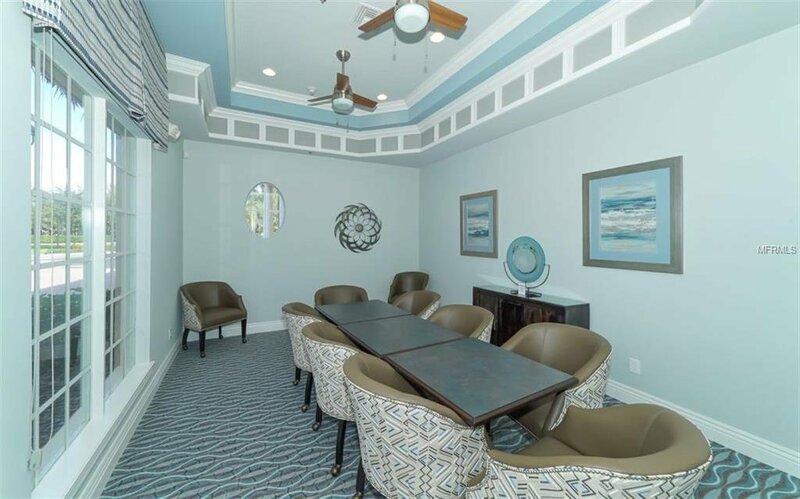 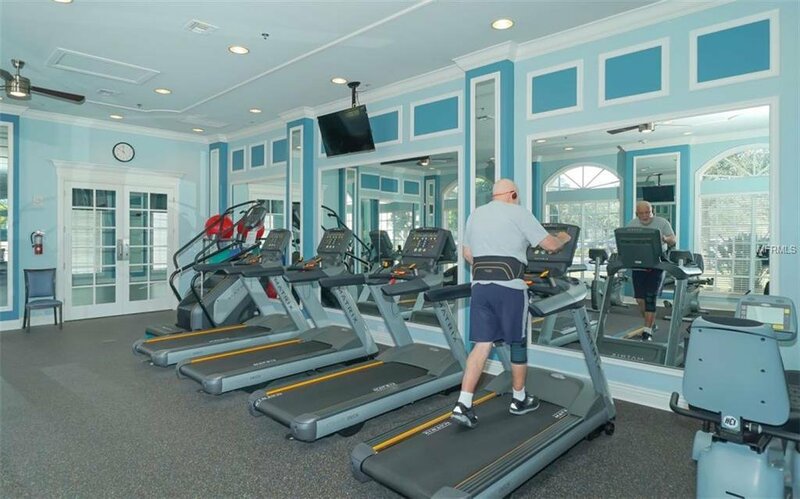 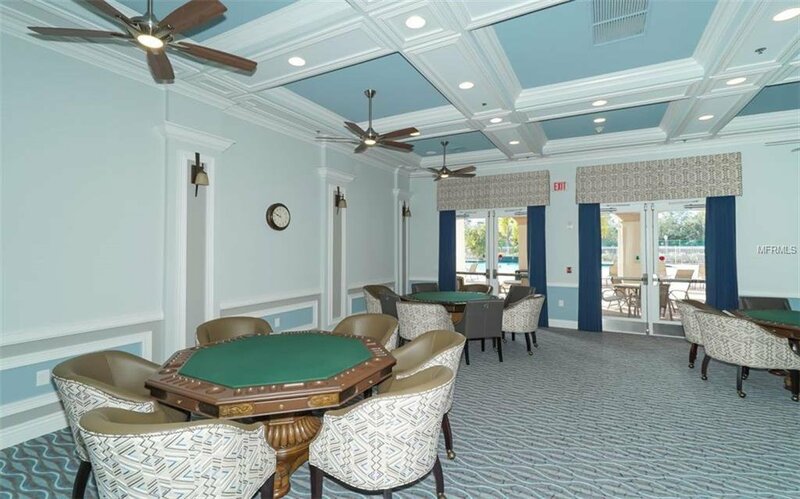 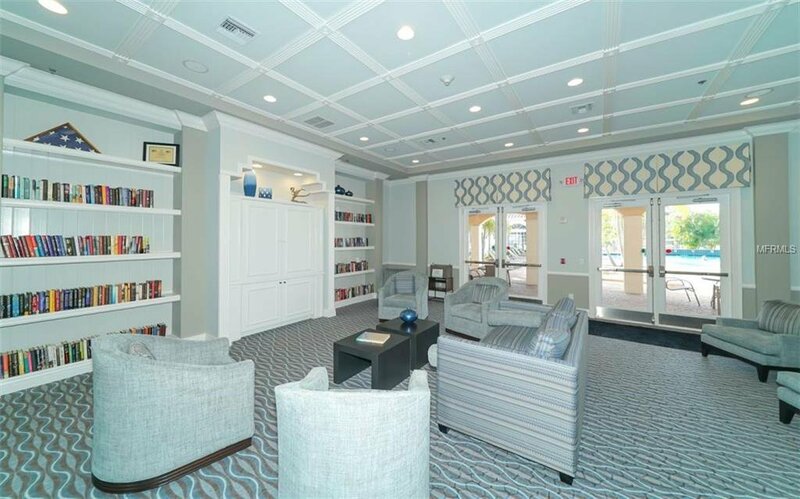 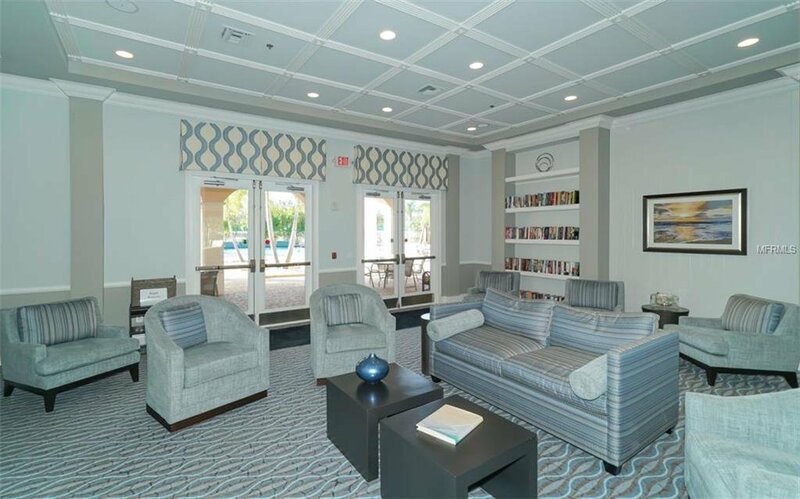 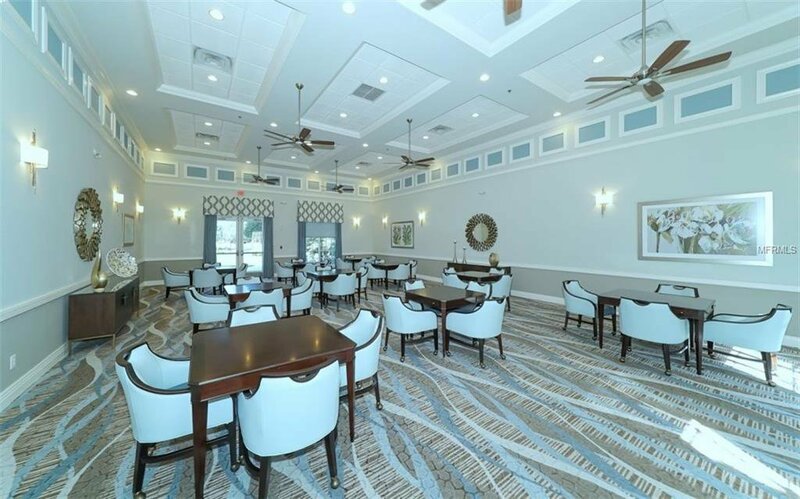 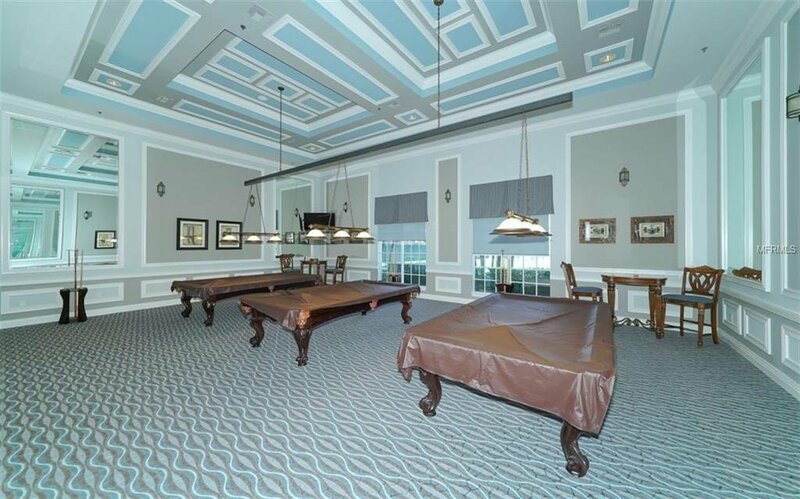 The clubhouse features a Multipurpose Room with stage and dance floor, two Card Rooms, an Arts & Crafts Room, a Billiards Room, Conference Room, Kitchen, and Library Media Room. 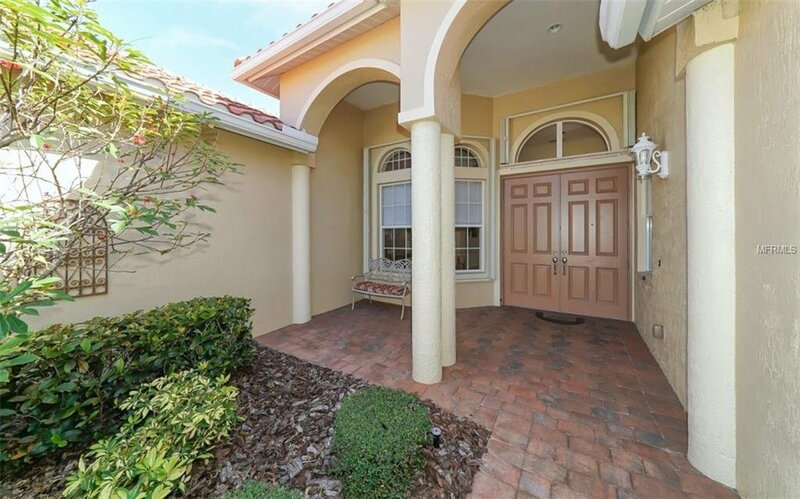 The home itself features tremendous curb appeal from the tile roof to the brick pavers lining the driveway and front veranda. 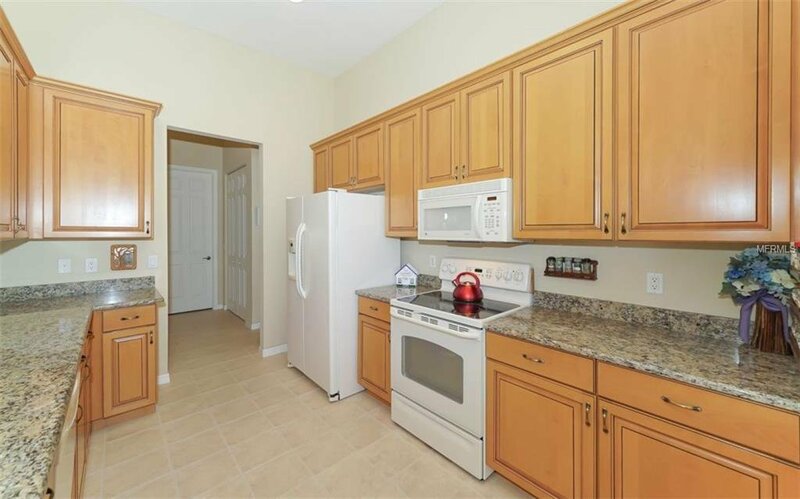 Inside is sunny, light, bright and inviting with a smart and well thought out floor plan.. Easy care tile in most of the living areas, open concept kitchen with gorgeous 42 inch cabinets and solid surface counters overlooks the family room and dinette area .. 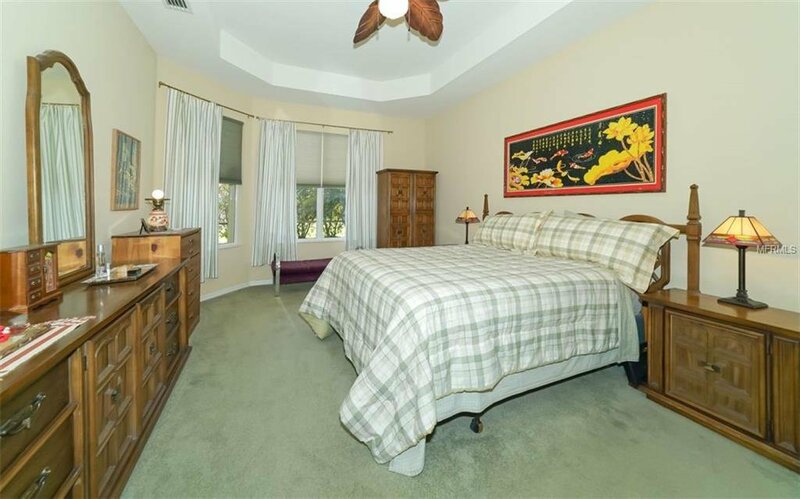 Expanded master suite with it's own bonus room which could be used as a craft space, dressing area, office or reading nook. 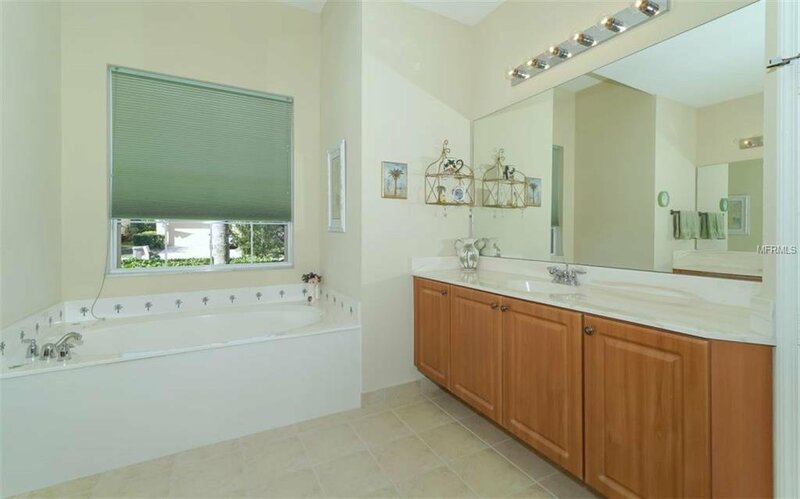 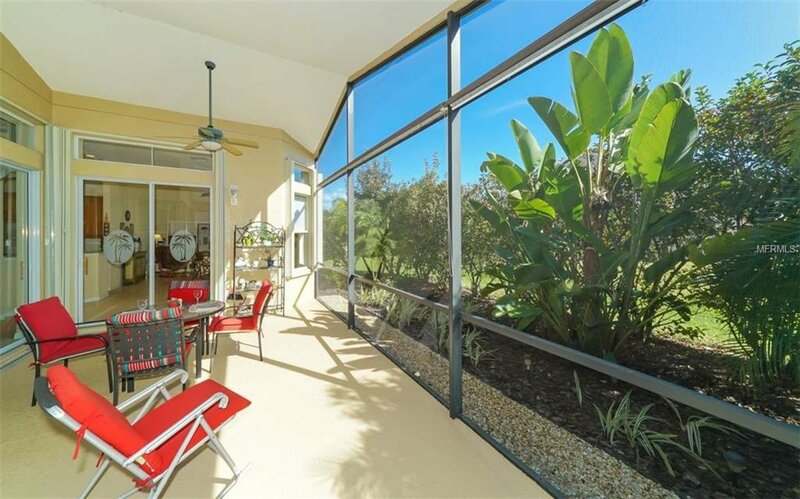 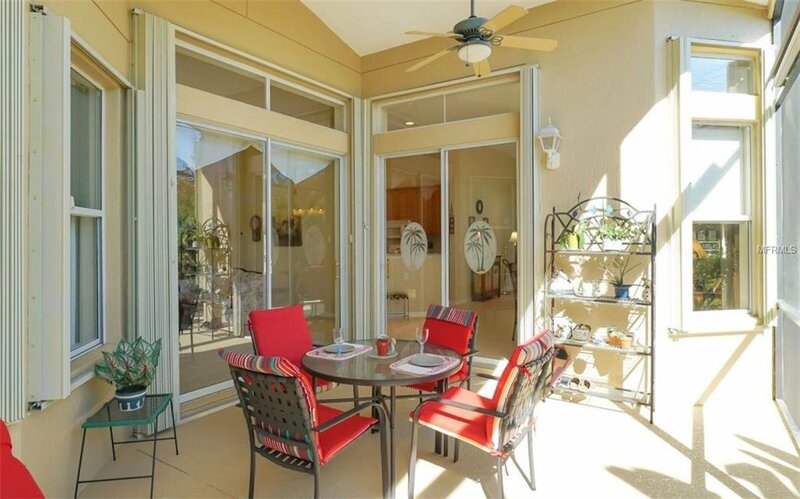 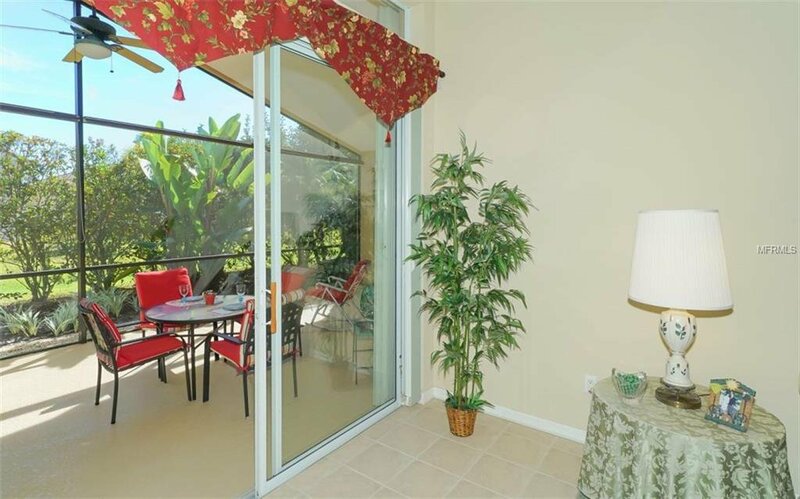 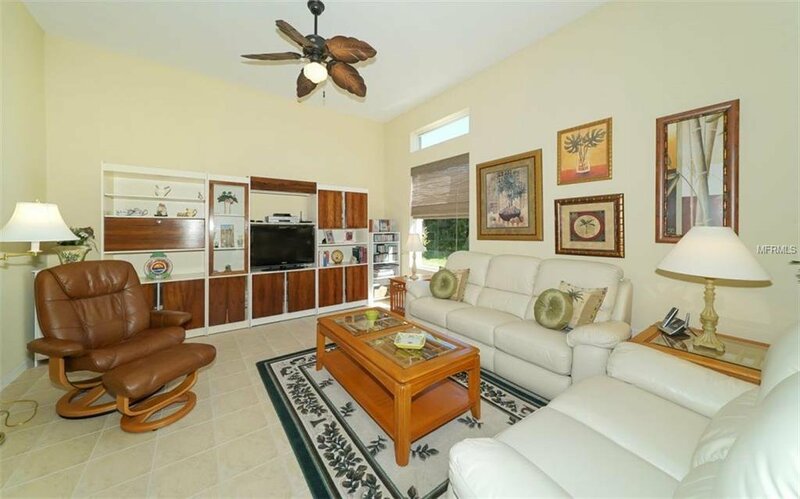 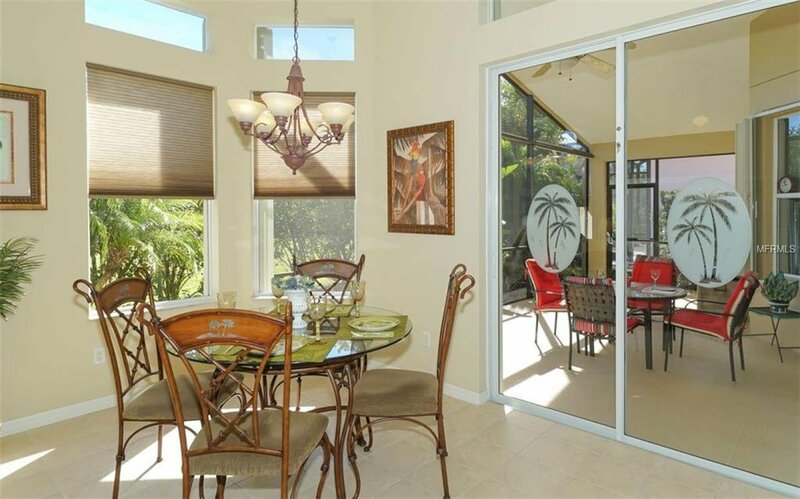 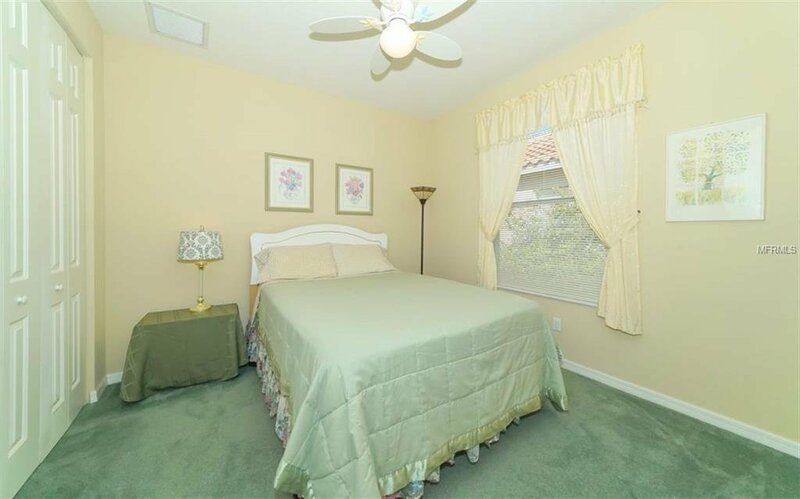 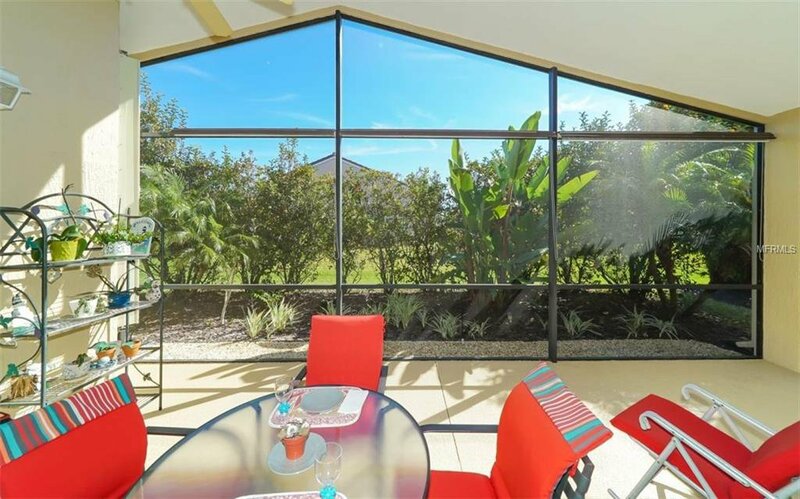 Spacious screened lanai perfect for enjoying our balmy Florida weather.. 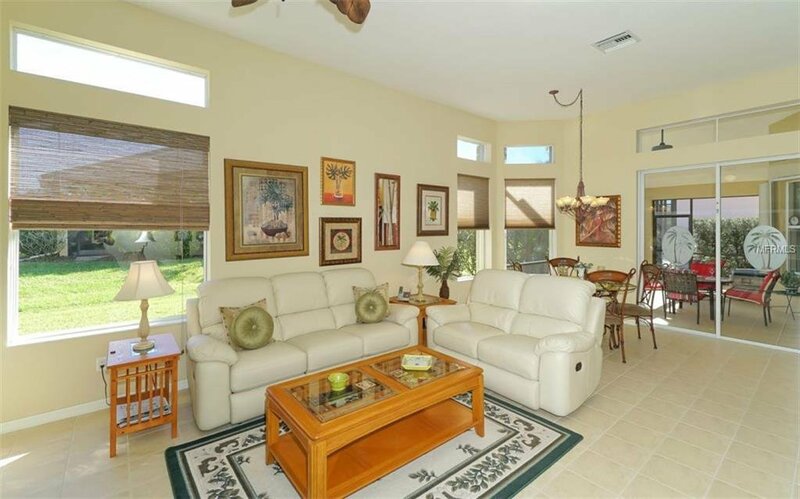 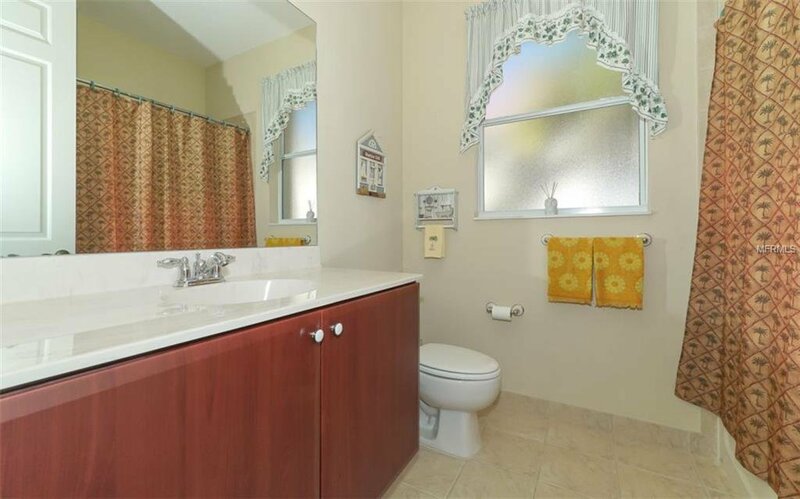 This home is absolutely immaculate inside, a real cream puff ! 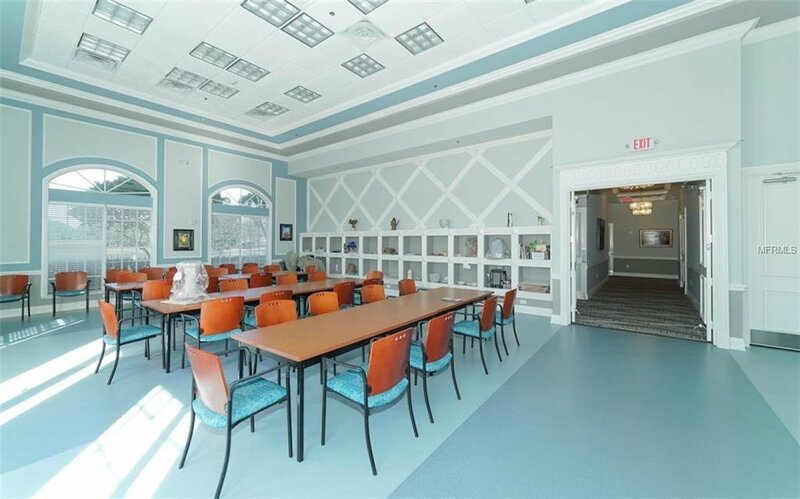 Please come and take a look today, these opportunities do not present very often in the Cascades. 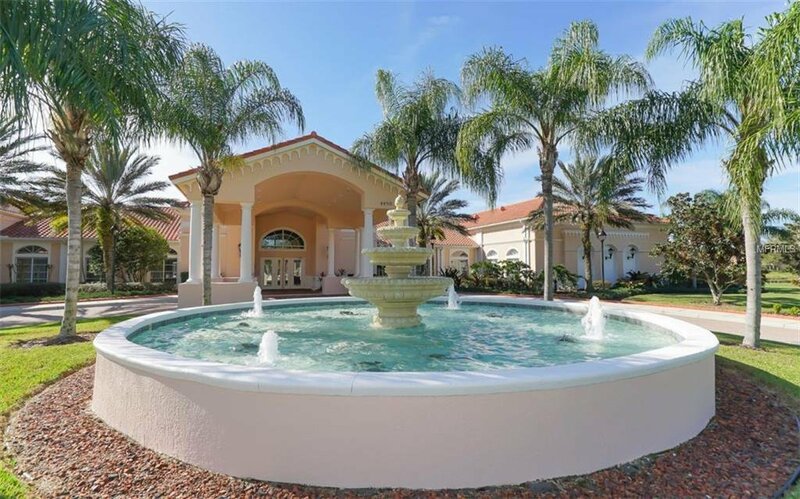 Come and live the Florida dream. 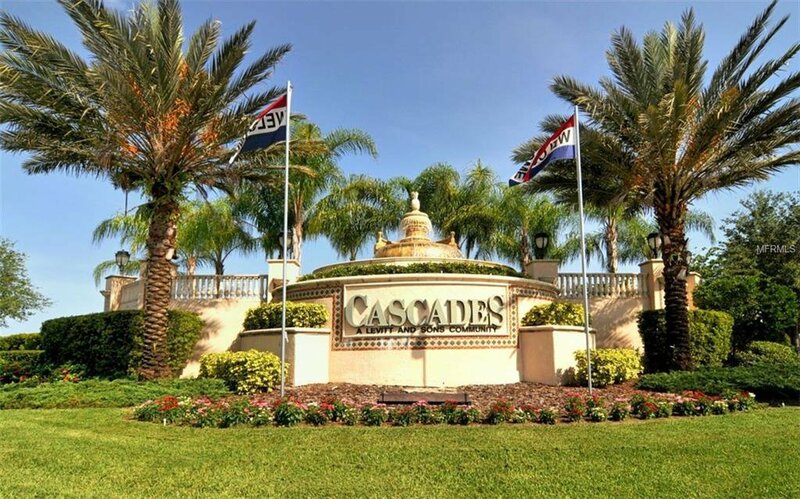 Reasonable HOA fees cover internet with wireless router; HD TV set top boxes for 2 rooms; home landscape and irrigation care; yard fertilizer & alarm monitoring.